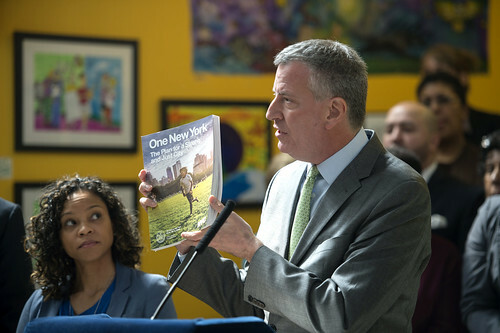 On Earth Day, Mayor de Blasio presented a bold vision for a New York City that sends zero waste to landfills. This ambitious goal figured prominently into the sustainability section of his OneNYC plan. I believe we can get there, but it will require a great deal of focus and innovation. New York City currently sends four million tons of waste to landfills every year. Landfills are notorious emitters of methane, a harmful greenhouse gas. Sending waste to out-of-state landfills is expensive too — in 2012, it cost the City over $85 million. Removing organic material from landfills not only reduces methane in the atmosphere and carbon emissions from collection and long-haul carting trucks, it also presents an opportunity to harness its positive value as a potential clean energy source or compost input. The City knows this export option is not sustainable over time. The Department of Sanitation (DSNY) has already taken steps to capture food waste from our residential and commercial waste stream on a voluntary, pilot basis. In the fall of 2012, DSNY began offering curbside collection of organic waste to select schools and institutions. In 2013, the pilot was codified as Local Law 77, requiring DSNY to carry out the program through July 2015. The program currently provides organics collection service to over 100,000 households, 700 schools, and a few agencies and institutions across the five boroughs. OneNYC plans to expand it to all households by the end of 2018. On the commercial waste side, Local Law 146 of 2013 requires that large food establishments recycle their food leftovers by July 1, 2015, provided that an affordable facility exists within a 100-mile radius of the city that will process the waste at a cost that is competitive with landfills or incinerators. The most immediate problem the City faces as it seeks to scale these programs up is that there is scarcely any capacity for processing food waste within a hundred-mile radius of the city. Developing processing capacity is, therefore, the first priority. In OneNYC, the City committed to upgrading its existing Staten Island Compost Facility and it will explore additional sites for developing City-owned compost facilities in the other four boroughs. It also identified Waste Water Treatment Plants (WWTP) as an important part of the solution to the capacity problem. A pilot program at the Newton Creek WWTP co-digests food waste with sewage and the pilot will eventually scale up to 250 tons of organic waste per day. Using anaerobic bacteria to break down the food waste, the facility creates of high-quality compost and natural gas. Once National Grid develops the corresponding infrastructure, this natural gas can then be fed into the surrounding grid to heat homes and businesses. 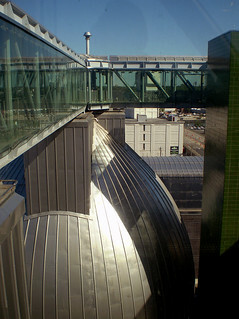 If the pilot is successful, the Newtown Creek WWTP has the capacity to treat up to 500 tons per day of organic waste, or about eight percent of the city's total food waste. Since the economic and environmental returns are much better from anaerobic digestion than composting alone, its success will help the City make the case for developing additional such facilities. Critically, the City also recommends expanding community-composting opportunities, sited on school grounds, in community gardens, and at other local spaces. Hands-on participation in closed-loop waste-management and gardening operations, through which all waste is reused, could play a useful role in school curricula and in raising local awareness of sustainable urban systems, while avoiding the costs and adverse environmental impacts associated with truck transport to large-scale, centralized facilities. Collection programs will only be successful to the extent we can build buy-in and participation across the city through outreach and education. An alternative to be further explored is "in-sink" organics processing. Finally, the City also recommends exploring a "Save-As-You-Throw," unit-based pricing system charging NYC residents for refuse disposal, while allowing free or discounted disposal of source-separated organics and recyclables, which would provide an economic incentive for generating less waste, recycling more, and participating in community-based organics programs. Although many complexities would need to be addressed in developing an equitable, revenue-neutral program for New York City the many benefits — both to the City as a whole and to its individual taxpayers — merit the effort. The City is already off to a good start in diverting organic waste from landfills. But if it is to achieve its OneNYC goals, it must remain steadfast in developing a significant amount of processing capacity in or around its boundaries. With a commitment to building the infrastructure necessary to reach an economy of scale, advances in anaerobic digestion, and forward-looking waste prevention strategies, New York City truly has the potential to deliver on its zero waste promise. Marcia Bystryn joined the New York League of Conservation Voters in 1999 and was named President in 2008. Previously, she served as Senior Corporate Policy Manager for the Environment and later as Senior Business Manager for Economic Development at the Port Authority of New York and New Jersey. She is a former Assistant Commissioner for Recycling at New York City's Department of Sanitation, where she designed and implemented New York City's recycling program. Stay updated via Twitter, Google + or join our list. We have made Snapshot articles available in .pdf format on Scribd. The Sallan Foundation improves the urban environment by advancing useful knowledge for greener, high performance cities on the front line in the fight against climate change.